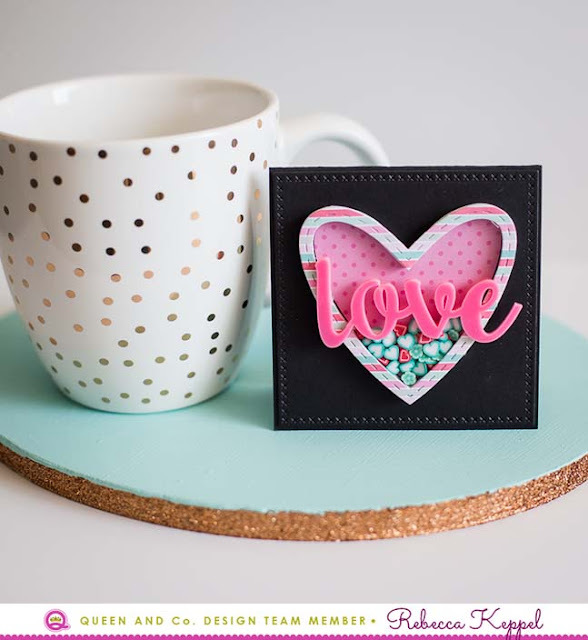 My Cluttered Corner: Love Shaker Card - Queen and Co Heart Throb Kit! Love Shaker Card - Queen and Co Heart Throb Kit! 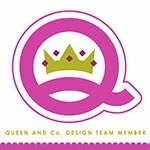 I am super excited because today was my very first day on the Queen and Co. blog! If you head over there, you can see this card that I made with their fabulous February Heart Throb kit. There are so many amazing goodies in this kit that I made several other cards with too that I will be sharing over the next few weeks so stay tuned! And be sure to check out Heart Throb for yourself before it sells out!